Swarovski snowflake ornament for the rearview, window or holiday tree! 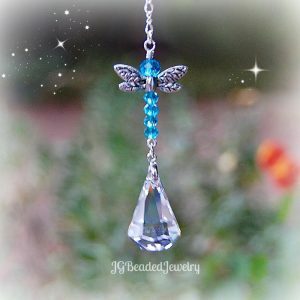 This Swarovski crystal snowflake is uniquely designed with a beautiful Swarovski crystal snowflake that has a blue-silver shaded tint. 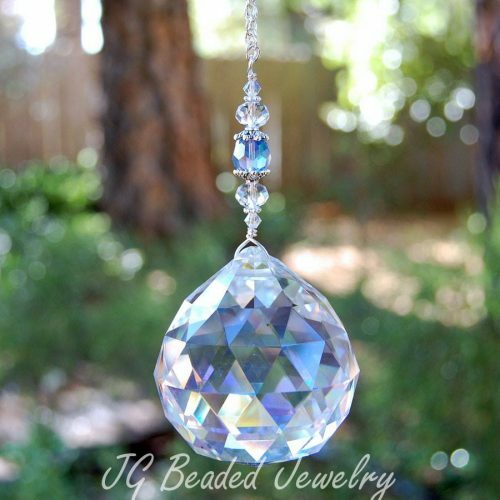 The crystal snowflake is approximately one inch and is embellished with blue opal and iridescent Swarovski crystals along with fancy silver metal beads. Swarovski is known worldwide for flawless and precision cut crystals – they are the best of the best! 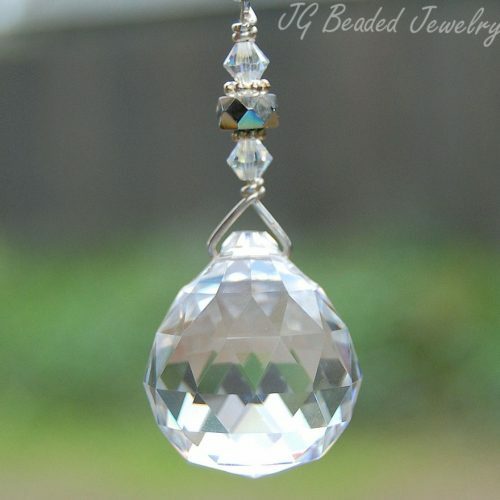 ♥ Hang the Swarovski crystal snowflake ornament in a sunny window, from the rearview mirror or anywhere your heart desires. Crystals are a wonderful gift and each is made with love, care and quality craftsmanship that will last for many years to come.